You may have been mesmerized by her work, and not even known it was her. Or you’re very well aware of Kasuma, and have been anxiously waiting for this exhibition to arrive. Either way, the 89-year-old artist’s work is about to take Atlanta by storm. The HIGHLY anticipated “Infinity Mirrors” exhibit, by world renown artist Yayoi Kusama, has officially opened at the High Museum of Art. As someone who has already visited, I can confidently say that it is truly an out of body experience. “Yayoi Kusama: Infinity Mirrors” provides visitors with the unique opportunity to experience six of the artist’s Infinity Mirror Rooms and more than 60 sculptures, paintings, works on paper, archival photographs and films from the early 1950s through the present. 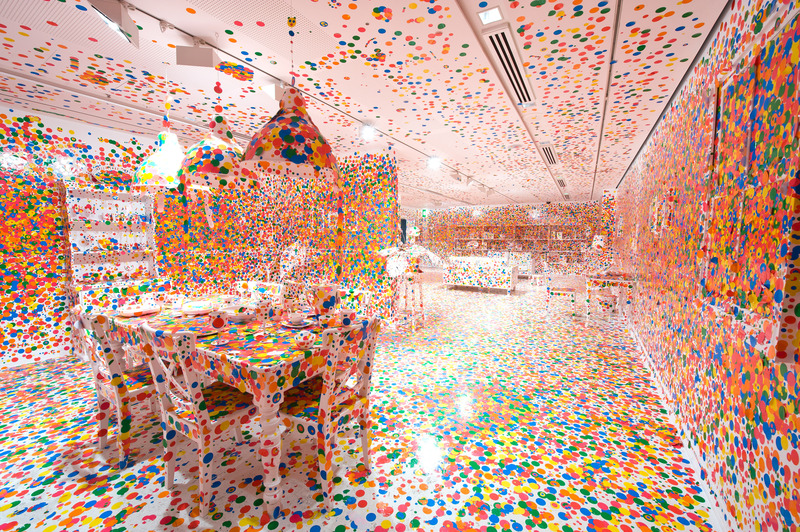 Yayoi Kusama (Japanese, born 1929), The Obliteration Room, 2002–present, furniture, paint and dot stickers. Collaboration between Yayoi Kusama and Queensland Art Gallery. Commissioned Queensland Art Gallery, Australia. Gift of the artist through the Queensland Art Gallery Foundation 2012. Collection: Queensland Art Gallery, Brisbane, Australia. © Yayoi Kusama. Photo by QAGOMA Photography. 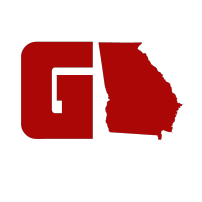 The High Museum of Art has the honor of being the final venue on the North American tour. So, naturally you could guess that advanced tickets have been sold out since September. HOWEVER, you still may have a chance to visit this once in a lifetime exhibit. The exhibition will run at the High Museum of Art until February 17,2019. So you have plenty of time to make the voyage. 100 tickets are being sold on-site daily on a first-come, first-serve basis. 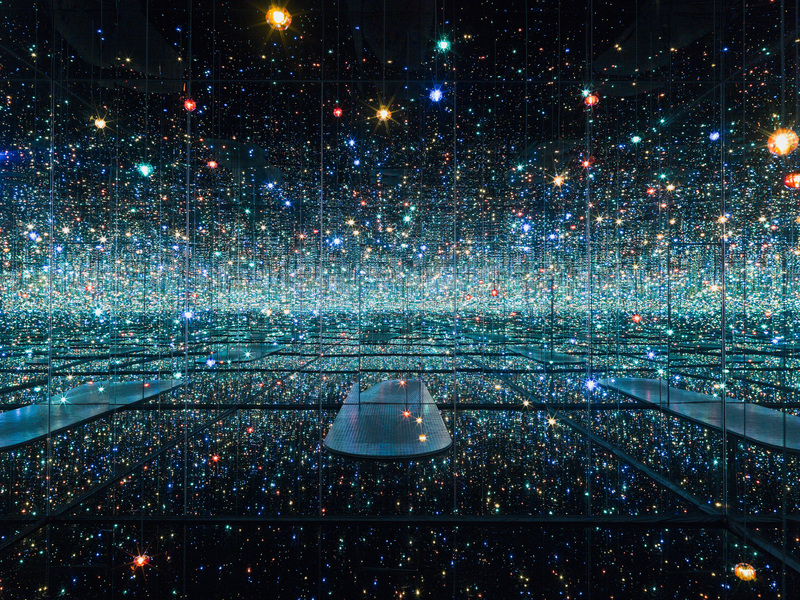 Once those 100 have been sold, you will not be able to enter into Infinity Mirrors. You can either try again or enjoy the rest of the High Museum (which isn’t a bad constellation prize). I will most certainly be going again! For all the info about walk up tickets, check BELOW! 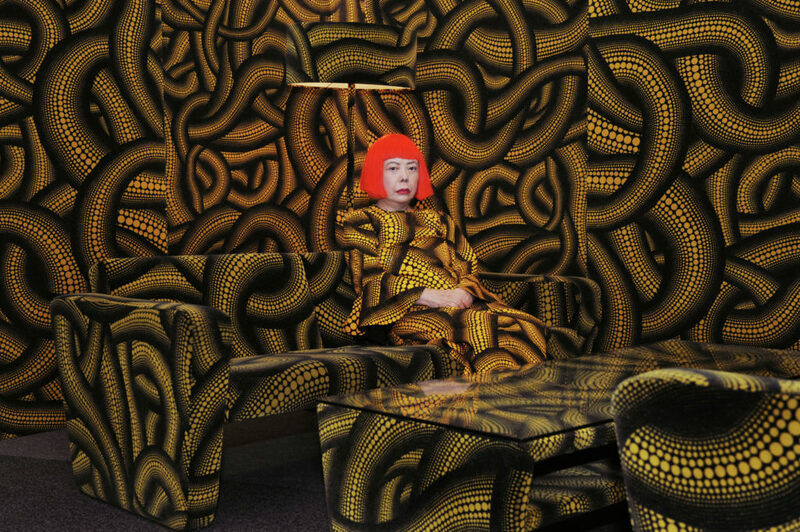 Yayoi Kusama in Yellow Tree furniture installation. © Yayoi Kusama.